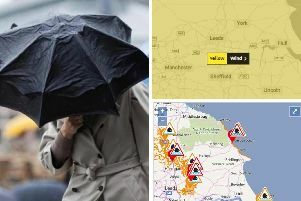 The weekend weather is mainly cloudy with spells of rain and sunshine over Calderdale. Saturday is largely cloudy with spells of rain mid-morning til noon with further cloud in the early afternoon and spells of sunshine breaking through cloud from 3-5pm today (March 14). Today’s temperature will reach highs of six degrees c from 1-4pm. Sunday’s forecast consists of cloud and rain with temperature highs of six degrees c.
Today’s traffic is flowing smoothly across the region - the Courier online will keep you updated with any changes. Share your news and views with newsdesk@halifaxcourier.co.uk or tweet @hxcourier.